Your gift to the Buckingham Cemetery Association Fund with the Tama County Community Foundation will help the Buckingham Cemetery Association with preservation, beautification, and maintenance of cemeteries, keeping the cemeteries respectfully enjoyable for all visitors. Your gift to the Gaylen "Jake" and Maureen Jacobson Family Fund with the Tama County Community Foundation allows recommendations for grants to be made each year to support charitable causes that carry out the mission of the Community Foundation. Your gift to the Pauline Kober Traer Endowment Fund with the Tama County Community Foundation will benefit the citizens of Traer, Iowa, in the name of Traer native Pauline Kober. Your gift to the Lake and Park Holding Corporation Quasi-Endowment Fund with the Tama County Community Foundation will help with public education, recreation, improvements, park and lake maintenance of Union Grove State Park located in Tama County. Your gift to the Pilgrim Heights Camp and Retreat Center Fund with the Tama County Community Foundation will help support the charitable activities of the Pilgrim Heights Camp & Retreat Center located in Montour, Iowa.  Your gift to the Dr. Rudy R. Kubik Scholarship Fund with the Tama County Community Foundation allows the Community Foundation to award financial assistance to qualified students from North Tama High School pursuing higher education. Students must be seeking an undergraduate degree in the field of sciences including education degrees in sciences. Preference will be given to students with a GPA of 2.3 or higher and who are involved in high school athletics. As the cost of tuition continues to rise, it is more important now than ever to diminish the barrier of affordability and allow students to focus on what is most important - their education. Your gift to the South Tama County United Endowment Fund with the Tama County Community Foundation allows us to support organizations benefiting the communities of Chelsea, Montour, the Meskwaki Settlement, Tama, Toledo, and Vining. By making this gift, you give us flexibility to fund charitable programs and projects in the community to explore the arts and celebrate diversity, support healthy lifestyles, protect natural resources, educate future generations, preserve the past, build hope for tomorrow, ensure a safe place to live, and improve the quality of life for all. Your gift to the South Tama County United Expendable Fund with the Tama County Community Foundation allows us to continually respond to support organizations benefiting the communities of Chelsea, Montour, the Meskwaki Settlement, Tama, Toledo, and Vining. By making this gift, you give us flexibility to fund charitable programs and projects in the community to explore the arts and celebrate diversity, support healthy lifestyles, protect natural resources, educate future generations, preserve the past, build hope for tomorrow, ensure a safe place to live, and improve the quality of life for all. This fund will distribute all gifts on an annual basis. Your gift to the Tama County Community Impact Fund with the Tama County Community Foundation allows us to continually respond to the current and unique needs of Tama County. By making this gift, you give us flexibility to fund charitable programs and projects in the community to explore the arts and celebrate diversity, support healthy lifestyles, protect natural resources, educate future generations, preserve the past, build hope for tomorrow, ensure a safe place to live, and improve the quality of life for all.